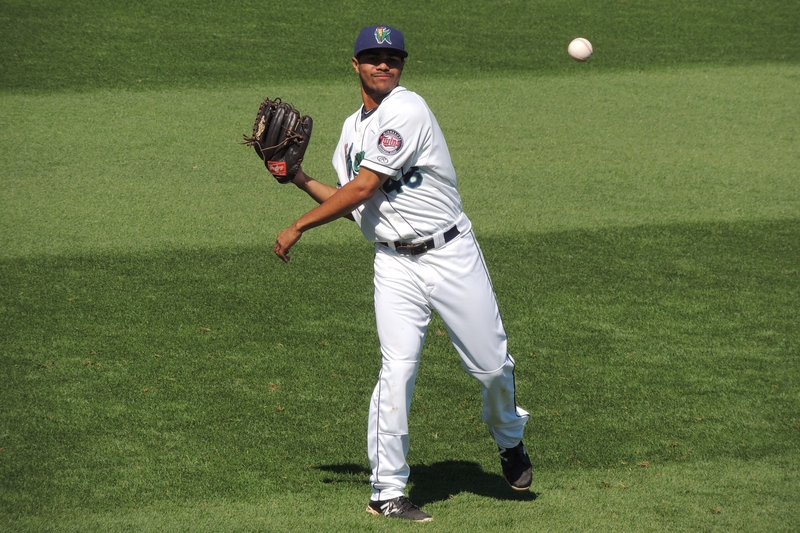 The Opening Day roster for the Cedar Rapids Kernels is highlighted by shortstop Jermaine Palacios, the No. 19 Minnesota Twins prospect according to Baseball America. Although Palacios is the only ranked prospect on the team, he isn’t the only player to keep an eye on. Outfielder LaMonte Wade excelled for the rookie-level Elizabethton Twins last season, batting .312 with 9 HR, 44 RBI and 12 SB in 64 games before getting promoted to Cedar Rapids for four regular-season games and the postseason. A trio of right-handers who performed well at Elizabethton last year are part of the Cedar Rapids pitching staff. Starter Andro Cutura went 3-2 with a 1.34 ERA, 49 strikeouts and 15 walks in 60.2 IP (11 starts). Reliever Kuo Hua Lo went 4-1 with a 1.44 ERA, seven saves, 43 strikeouts and eight walks in 31.1 IP (19 appearances). Reliever Logan Lombana went 1-2 with a 2.25 ERA, one save, 34 strikeouts and 12 walks in 32 IP (15 appearances). Click here to see the entire Kernels roster. The Kernels are managed by Jake Mauer, who enters his fourth season as the team’s skipper. You can read about him and his coaching staff here. This entry was posted in Appalachian League, Cedar Rapids Kernels, Elizabethton Twins, Midwest League. Bookmark the permalink.